Andy Bellatti with a fabulous post on how the dietetic profession hinders itself. If you're part of it, it's a must read! Appetite for Profit's Michele Simon explains to Obesity Panacea why she thinks public-private partnerships between Big Food and health organizations are a bad idea. 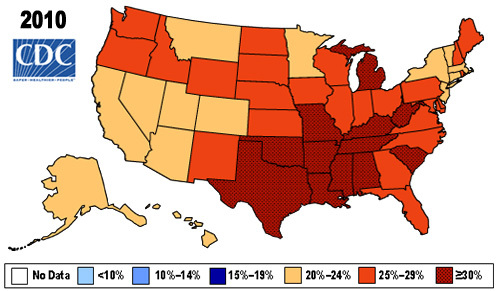 The CDC updated their interactive obesity map.